The Alpine Town of Bad Reichenhall dons its mosteye-catching attire during the weeks leading up to Christmas. An attractive Christmas market set up on the town hall square offers a wide variety of high quality products from the region. 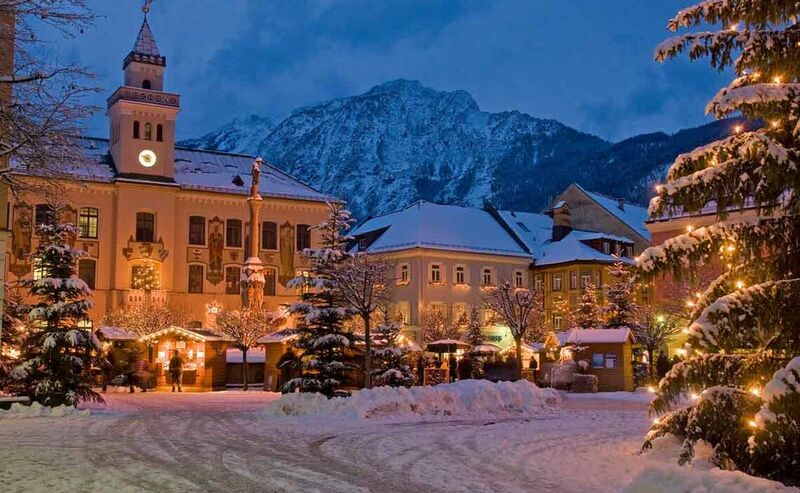 Hot mulled wine, roasted chestnuts and other typical specialties are among the culinary highlights in the Alpine Town during Advent. Alpine music can be heard every day at Bad Reichenhall’s Christmas market with the exception of December 5t and 6th because of the St Nicholas and Krampus events. Those who enjoy classical music can also look forward to the Bad Reichenhall Philharmonic Orchestra’s selection of chamber music concerts, as well as atmospheric Christmas themed performances. In addition to the Alpine Town’s Advent festivities on the town hall’s square, another Advent market is well worth the climb up to Gruttenstein Fortress above Bad Reichenhall. 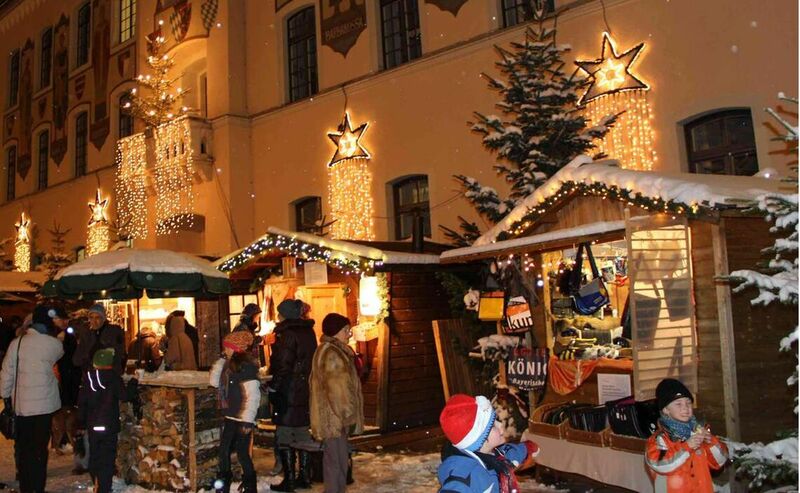 Every year a small yet attractive Advent Market is set up here, attracting numerous visitors from near and far. 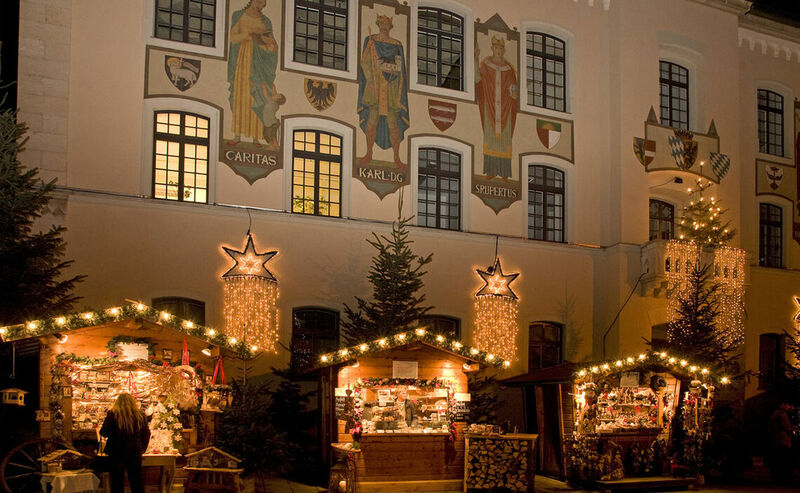 Burg Gruttenstein opens its historic gates every weekend during the Advent season to host a very special and atmospheric market event. 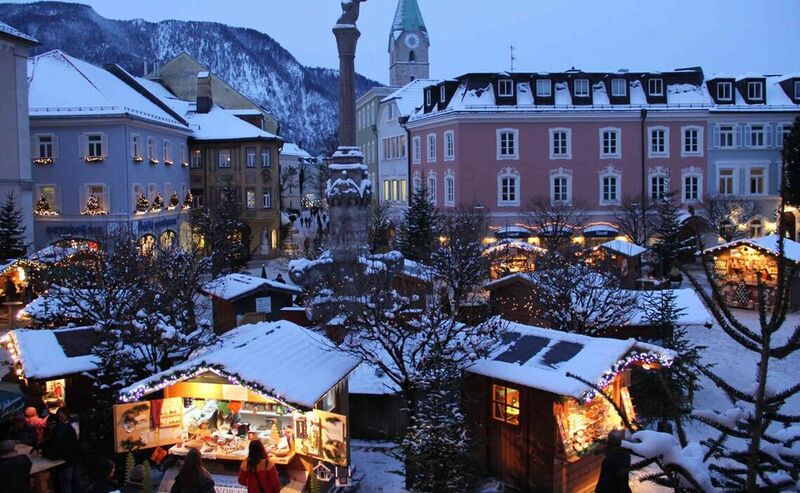 A pleasant and romantic stroll through the Alpine Town during Advent will reveal to you Bad Reichenhall’s most beautiful squares and highlights at the most festive time of the year. Follow the trail of Christmas trees decorated with red balls and admire the artfully arranged Nativity scenes at the Old Saltworks, on Floriani Square, at the Nicholas Church, at Spital Church and at St Zeno. The life size creche on Floriani Square in the historic town center can already be seen from far away and seems to emanate peace and serenity. The square’s houses with their protruding flat gable roofs, transom windows and small shutters take one back to former times. As a matter of fact, some of the colorful buildings here date back to the late Middle Ages. St Florian presides over the plaza as its patron saint and seems to watch over this idyllic ‘old Bavarian’ village square. Here you will find artists and artisans offering their creations and handicrafts that make for perfect Christmas presents. 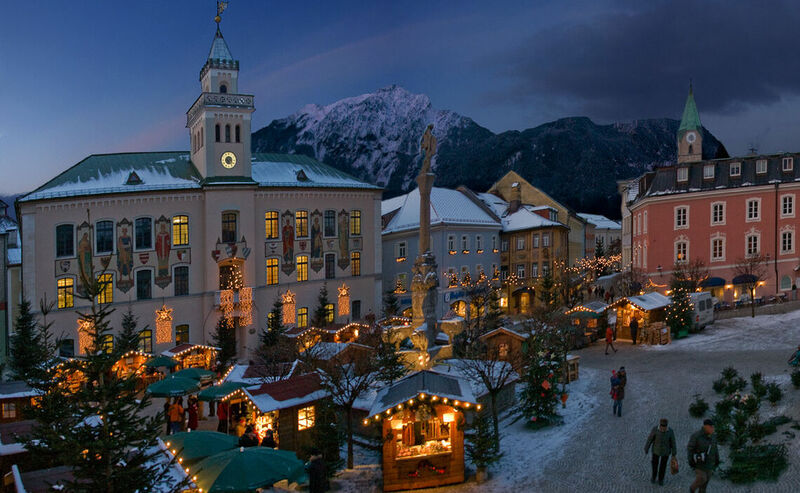 During Advent the entire town of Bad Reichenhall takes on a contemplative atmosphere and provides a memorable experience. 20.11. - 23.12.2018, 12 noon to 8 pm.